Why it’s the thought processes — not the habits — of highly successful people you should be emulating if you want to succeed. If you believe everything you see in the news these days, you’re probably anxious about the end being very nearly nigh. Our climate’s in shambles, our ravenous consumption of finite resources is unsustainable, and we’re overpopulating our planet so quickly that soon we’ll only have room to sleep standing up. 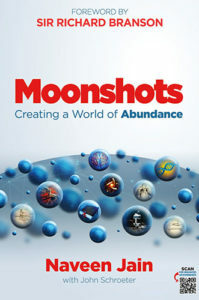 But Moonshots: Creating a World of Abundance co-author Naveen Jain is here to show us how humanity is actually well on the way to outthinking these catastrophes. In this episode we talk about what separates visionaries who have the capacity to solve problems from the entrepreneurs who bring these solutions to market, what moonshots are and how they make audacious goals achievable, why it’s the thought processes of highly successful people you should emulate rather than their habits if you want to succeed, and what Naveen believes is the true solution to addressing the unsustainable. Listen, learn, and enjoy! Ship is here to make dating fun again. With Ship, friends can set each other (or themselves) up — because who knows you better than your friends? Check out Ship at getshipped.com/jordan! MedMen is proud to be leading the way as the cannabis industry transitions from its legacy era of homegrown enterprises to an institutional phase of professional standards and practices. Experience the new normal and check out Spike Jonze’s short film at MedMen.com! The jet-setting lifestyle of an entrepreneur requires a little work on the road. But what if the jet you’re setting on doesn’t have Wi-Fi? Before you take your next flight, tune in to The $100 MBA Episode 1231: 5 Tips To Getting Work Done On a Plane here! 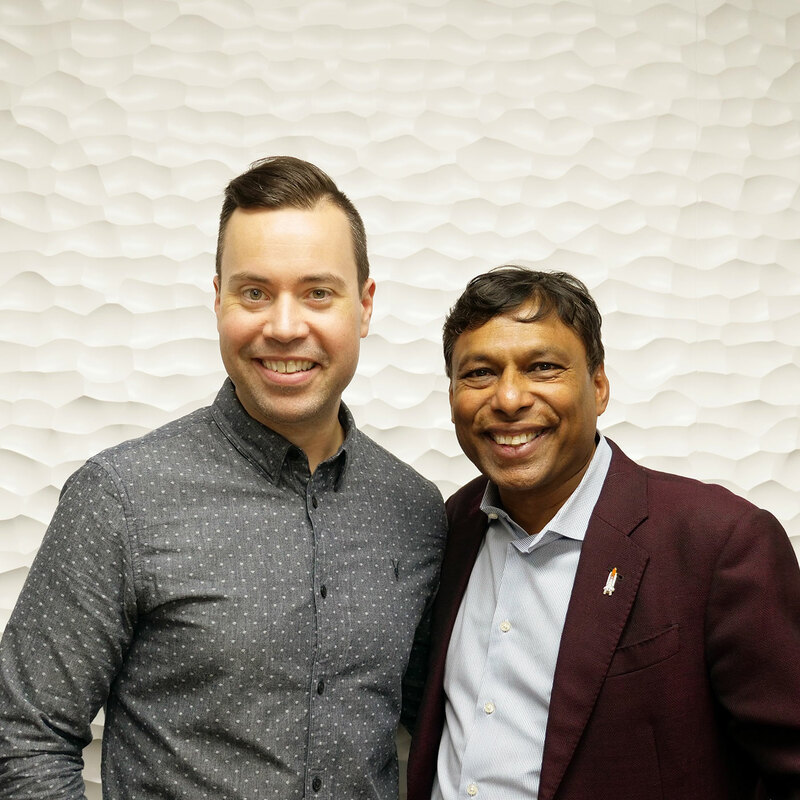 To Moonshots: Creating a World of Abundance co-author and serial entrepreneur Naveen Jain, entrepreneurship isn’t about starting businesses as much as it is about solving problems. Listen to this episode in its entirety to learn more about why Naveen advocates quitting your day job if you’re serious about pursuing an entrepreneurial ambition (we — and Naveen’s wife — still advise erring on the side of caution, but he does make some interesting points worth hearing out), how the course of Naveen’s life in the United States was set in motion by acing a test he only took to annoy his friend, how to know when a billionaire has really arrived at success, why Naveen believes we have to create more of what we need rather than consume less of what we have, why intellectual curiosity trumps IQ and how to develop it, and much more. Click here to thank Naveen Jain at Twitter!